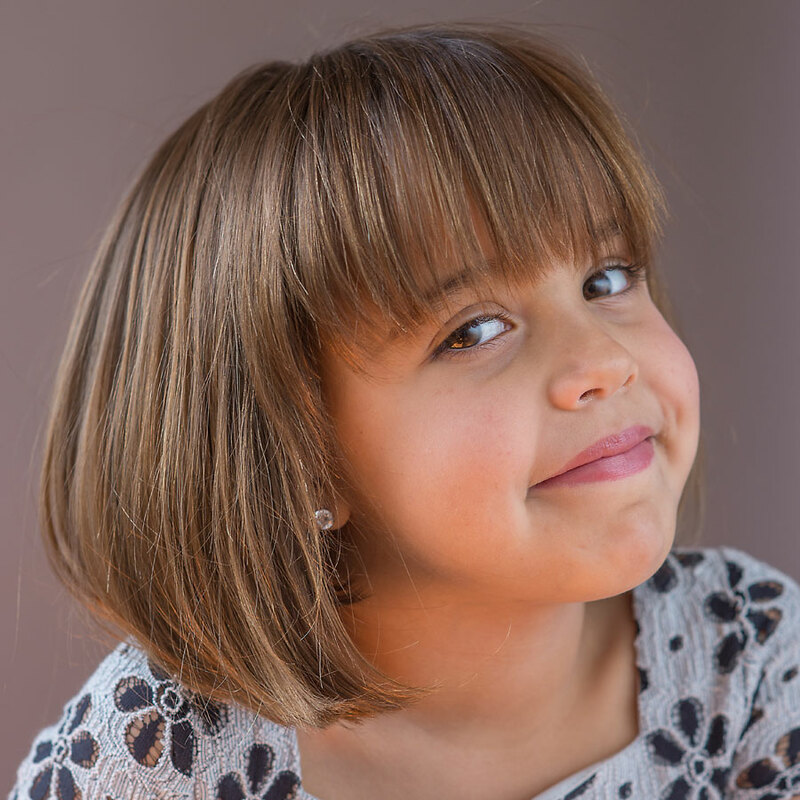 This classic bob is adorable on this young girl. Sweet fine hair falls right at the chin creating a cute doll-like face shape. The length is layered on the tips of the hair just slightly so that it rolls under. This makes the haircut much easier to style and will oftentimes fall into place on its own when cut correctly. For this style we recommend your favorite Bumble and bumble shampoo and conditioner. The Bb Don’t Blow it (h)air Styler is a great option for days your little one just won’t do the blow dryer.